MILWAUKEE, WI -- (MARKET WIRE) -- October 4, 2005 -- The Milwaukee Symphony Orchestra announced the launch today of MSO Classics, an e-label created specifically for digital distribution of its recordings at the iTunes Music Store and other digital music stores and services, including Yahoo! Music, Napster, RealNetworks Rhapsody, and MusicNet outlets including AOL, Virgin, and HMV, via a worldwide digital distribution deal with IODA, the Independent Online Distribution Alliance. The Milwaukee Symphony Orchestra is the first American orchestra to distribute, through digital music stores, recordings previously unavailable for purchase. Performances on "MSO Classics," an e-label owned by the Symphony, will be available for 90 days, beginning today, exclusively on the iTunes Music Store -- the world's most popular digital music store. "The Milwaukee Symphony Orchestra has always been a pioneer -- in the world of new music, through innovative programming and by being the first American orchestra to visit Cuba," said Andreas Delfs, MSO Music Director. "Now a new age for classical music distribution has begun, and we are pioneers once again." MSO Classics' catalog is comprised of more than 300 live works recorded from 1970 to 2005 for its long-running national radio broadcast series. Among its inaugural set of 14 releases, MSO Classics will offer the world premiere recording of a Milwaukee Symphony commission, "Symphony No. 3," by Puerto-Rican born composer Roberto Sierra, taped just weeks ago at its debut performance. Additional titles include works of Brahms, Beethoven, Mozart, Dvorak, Mussorgsky, and Haydn. "This is an important milestone both for the Milwaukee Symphony Orchestra and the American orchestra industry," said Robert Levine, MSO musician and chairman emeritus of the International Conference of Symphony and Opera Musicians. "For the first time, an American orchestra is making available its archives on iTunes and other commercial download sites, finally realizing the promise of the groundbreaking AF of M (American Federation of Musicians) Internet Agreement of 2000." Although language regarding internet distribution of their work has existed in a national musician's union contract for over 5 years, many groups have found the logistics and details of royalties, payment, distribution, and contracts to be insurmountable hurdles in getting e-distribution. The terms of the Milwaukee local agreement makes payment to musicians, conductors, soloists, and publishers on a revenue-sharing basis rather than traditional advance payments. The MSO's online distribution will give worldwide access to performances that have never been made available commercially. "The Internet provides the Milwaukee Symphony with a direct and unique link to listeners across the globe," said Mark Hanson, MSO President and Executive Director. "We are thrilled to welcome the Milwaukee Symphony Orchestra and MSO Classics to the roster of IODA-distributed labels," said IODA founder and CEO Kevin Arnold. "IODA's industry-leading technology solution for licensing, metadata management, and royalty administration is a great fit for ground-breaking organizations like MSO that are charting new territory for classical music in the digital world." The Milwaukee Symphony Orchestra was founded in 1959 and is the largest professional arts organization in Wisconsin. With its 86 professional musicians, the Milwaukee Symphony Orchestra is ranked among America's major orchestras. Under Music Director Andreas Delfs, the MSO plays over 120 Classics, Pops, Family, and Education concerts each year -- at home and on tour. Its Arts in Community Education (ACE) program is nationally acclaimed. The MSO has toured Japan and Cuba and is heard regularly on syndicated radio broadcasts throughout the country and have the longest running archive of recordings for any orchestra in the country. 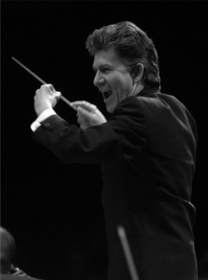 The MSO has recordings on the AVIE and KOSS labels including Humberdinck's Hansel and Gretel. The Milwaukee Symphony Orchestra's website is www.milwaukeesymphony.org. IODA - the Independent Online Distribution Alliance -- provides comprehensive services for the independent music community in the digital music world, including collective negotiations, media encoding and metadata management services, royalty payment administration and reporting tools, and promotional support. Founded in 2003, IODA represents a rapidly expanding roster of over 225,000 tracks from more than 750 independent labels around the globe. The IODA catalog ranges from established classics to modern up-and-comers in all genres, including favorites such as Billie Holliday, London Symphony Orchestra, Antony & the Johnsons, Bebel Gilberto, Midnight Oil, KRS-One, Duke Ellington, Sean Paul, The Hives, Charlie Parker, Ru Paul, They Might Be Giants, and Fela Kuti. IODA distributes its client catalog to all major digital music services including the iTunes Music Store, RealNetworks' Rhapsody, MSN Music, Napster, Yahoo!, Sony Connect, MusicNet, eMusic, OD2, and over 150 other retail outlets. The company's web site is at http://www.iodalliance.com.